For young love, old love, and everyone in between–there’s no better way to share your love with your significant other and the entire community by going local for Valentine’s Day! When you keep your dollars local, you create a stronger, more vibrant community, and isn’t that the best gift of all? We’ve put together this list of local events and opportunities for you to partake in for Valentine’s Day this year. These are all amazingly unique opportunities which may fill up quickly so get your RSVPs in. All events are happening on Sunday, February 14th unless otherwise stated. There are a few events in here that are fun for singles as well! Blind Date with a Book State-wide at Bookmans Need a valentine? No worries Bookmans is hooking you up, celebrate Love of Reading Month and Valentines Day by picking up a book blind date at any of your Bookmans locations! Starting on Valentines Day till the end of the month, each store will have a set up displays with books completely wrapped with only a few small clues, you never know you might just pick up a new favorite read! Vodka & Valentine's - A Taste of Arizona Vodkas hosted by Desert Diamond Distillery February 12, 13 , + 14 Cottonwood, AZ + Prescott, AZ Enjoy a tasting flight of the three distinctly different vodkas, and enjoy a chocolate plate that is paired with a craft cocktail featuring one if the Vodkas. Held at 2 Arizona locations: Desert Diamond Distillery in Cottonwood, as well at Thumb Butte's location in Prescott. More information is available online here. Treat Your Lovely at Burning Tree Cellars Cottonwood, AZ Burning Tree Cellars specializes in small batch, meticulously maintained, boutique wines utilizing the finest available fruit sources, quality oak, and patience. Enjoy 2 glasses of wine and a rose for $20.00 on Valentines Day. More information is available online or by calling (928) 649-8733. Vittles, Vines, & Valentine’s Special at Blazin’ M Ranch February 10th to 13th Cottonwood, AZ Enjoy the Western Town, Saloon, shops, and more for a fun-filled adventure at Blazin’ M Ranch. For Valentine’s you can enjoy half off selected bottles of wines and a chocolate tastingy. Full information is online here. 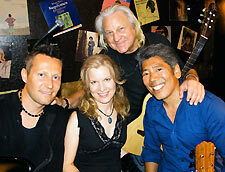 Valentine's Eve Concert at Old Town Center for the Arts February 13th Cottonwood, AZ $18 adv or $20 door. The Valentine's Eve Concert will be a love fest of songs - personal and universal, featuring the Miller, Miller, Martin, and Ki, the 3MKi Band. Tickets are online here. The Tavern Hotel and The Tavern Grill Do Valentines Cottonwood, AZ The Tavern Hotel wants to treat you a romantic night away with their Romance Package. For $299 enjoy a Deluxe room, sparkling wine, roses, chocolates and a gift-card for Nic's Italian Steak and Crab House. The Tavern Grill will also be serving a special Valentine's day menu Feb. 8th to the 14th. More info is online here or available by calling (928) 639-1669. 9th Annual Valentine's Day Concert with Wine & Chocolate Tasting Flagstaff, AZ Flagstaff Arts Council is pleased to present the 9th annual Valentine’s Day Concert with Gipsy Moon. There will be a chocolate and wine tasting beginning at 6:30 pm, and the concert will begin at 7:30 pm. Get tickets online here. Flagstaff Chocolate Walk Saturday, February 6, from 11 a.m. to 3 p.m. Flagstaff, AZ The Flagstaff Chocolate Walk is a one-day chocolate tasting adventure where you can enjoy all different varieties of chocolates; exploring downtown businesses in a unique and flavorful way. More information is available online here. Verde Canyon Railroad‘s Chocolate Lovers’ Festival February 12, 13, & 14th Sedona, AZ Share tasty chocolate pastries, cakes and luscious hand-dipped delicacies while enjoying the scenery of the Verde Canyon viewed from the comfort of a train. $129 per person. For full information and to RSVP click here. 4 Course Dinner and Music at Salt Restaurant & Wine Pinetop-Lakeside, AZ Enjoy a delicious 4 course meal at Salt Restaurant & Wine Bar for $45 per person. Ryan Orr will be preforming live. Reservations are required and can be made by calling 928-367-1819. More information about Salt is available online here. Red, White, and Chocolate Tasting at Man at Leisure Prescott, AZ Drop by any time 4pm till 7pm at Man at Leisure to learn about and sample wines with chocolate pairings. Harry Haff, who teaches wine classes at Yavapai College, will be teaching and answering questions about wine. RSVP is encouraged and can be completed online here. 4pm - 10pm. Cartwright's is serving a special Valentine's Day menu. RSVP online or by calling 480-488-8031. Personal Stylist Through the Closet Door Dresses You for Valentine's February 13 Glendale, AZ Professional personal stylist, Loren North from Through the Closet Door, wants you to look your best for Valentine's Day and will be at Simply Posh on Feb. 13th helping you choose the last minute items to complete your date night look. Loren will be on hand from 10am to 1pm the Saturday before date night at Simply Posh Consignment Boutique (1145 E Glendale Ave, Phoenix, AZ 85020). Learn more about Through the Closet Door online here. Valentine's Show at National Comedy Theatre Feb. 12th + 13th Mesa, Arizona Competitive Comedy at National Comedy Theatre is ALWAYS a hilarious and spontaneous good time, but Valentine's Day Weekend… LOVE is in the air! The Valentines Shows at NCT feature fresh and funny games you can ONLY see once a year. You don’t want to miss the fun and excitement of Valentines Shows at NCT! More information. A Special Giftbox from Sphinx Date Company Scottsdale, AZ (Statewide shipping) Each heart shaped box is packed with a choice of dark chocolate, milk chocolate, or Arizona pecan stuffed chocolate covered Medjool dates, dipped by Cerreta Candy Company. Prices start at $26.95 for 10 dates and vary based on what they are dipped in. Order online here! There's Love on the Menu at Bink's Kitchen + Bar Scottsdale Scottsdale, AZ Starting at 3pm on Sunday, Bink's will be offering a six course prix fixe menu for $75 per person with optional $35 wine pairings on February 14th. There will also be special menu items in addition to the regular menu on February 12th and 13th. RSVP online here or by calling 480-664-9238. Love at Arcadia Farms February 13th Scottsdale, AZ Join us for a Special dinner, February 13th, to celebrate Valentine’s day. Reservations currently being accepted from 6-9 pm. Call 480-941-5665 or 480-947-2596 to secure your spot. Valentine’s Day Weekend Dinner ZuZu at Hotel Valley Ho Scottsdale, AZ Enjoy a romantic, candle-lit dinner on Saturday or Sunday. They will be serving some delicious Valentine's specials along with our seasonal menu. 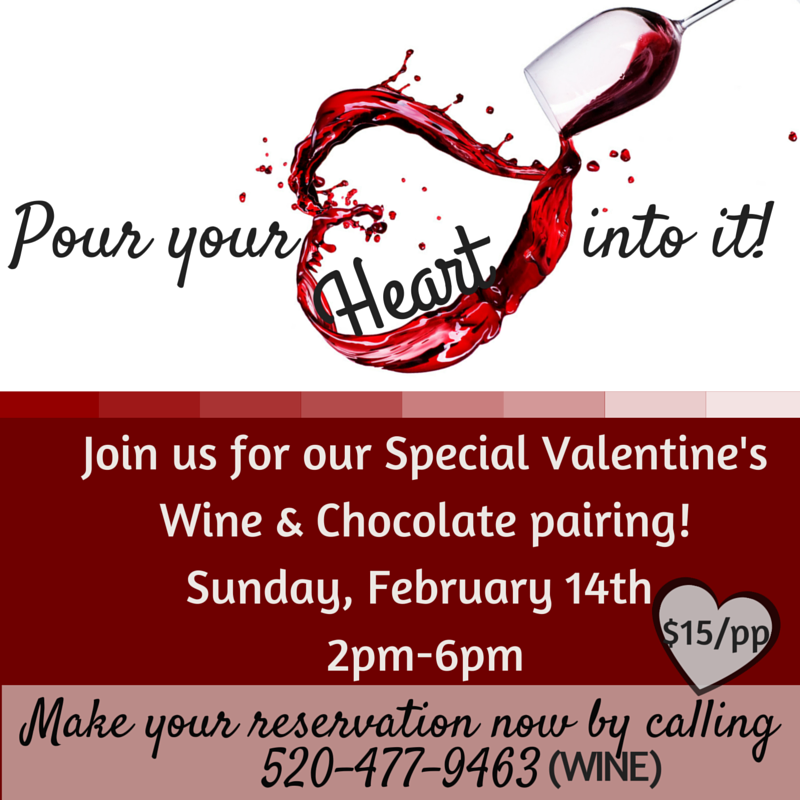 You can make a reservation online or by calling (480) 376-2600. Popcorn and More Sweet Treats Tolleson, AZ Popcorn and More has a collection of sweet, salty treats for your love this year. You can get more information online here or by calling (623) 907-8500. Winery 101 Special Events for Gals and Couples Peoria, AZ On February 12th grab your gals and enjoy a Galentine's Day with wine and fun from 5pm - 8pm at Winery 101. Then on Sunday, February 14th experience a special wine and chocolate pairing from 2pm to 6pm for only $15 per person. RSVP for etiehr or both by calling (520) 477-9463. More information is online here. TEXAZ Grill Serves up Valentine's Phoenix, AZ Celebrate the most romantic day of the year at TEXAZ Grill, with their Valentine's Day supper special, Steak Lin Sue, for just $26 after 4 pm, including a complimentary piece of Texas Sheet Cake. 2 for $20 Valentine's Weekend at Sauce February 12th - 14th Multiple Locations Enjoy a fresh salad, whole pizza, and two glasses of wine at all Sauce locations for only $20 over Valentine's weekend. More information about Sauce is available online here. One•n•ten Valentine's Day Fresh Brunch Gala Phoenix, AZ Fresh Brunch is one•n•ten‘s 7th annual signature gala brunch. 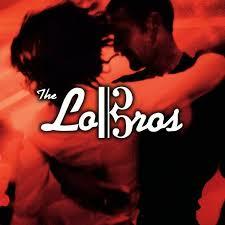 This year it will take place at the Arizona Biltmore on Valentine's Day from 11 am – 1:00 pm. Celebrate 23 years of service to the Valley’s LGBT community and Questioning youth. All proceeds raised at Fresh Brunch will go towards one•n•ten’s mission to enhance lives by providing empowering social and service programs that promote self?expression, self?acceptance, leadership development and healthy life choices. Tickets and more information are available online here or by calling 602.400.2601. Hula’s Modern Tiki Annual Anti-Valentine’s Day Phoenix & Scottsdale, AZ No schmaltzy paper hearts, no cheesy pri fixe menu, no reservations needed. Just great food and even better friends with killer cocktails. Come and burn a photo of your ex in our fire pit in Phoenix. See and be seen in Scottsdale (and maybe find new love). Either way, visit us this year write that great memory in your burn book. For more information visit online here. A Weekend to Celebrate at Beckett’s Table February 12, 13, and 14th. Phoenix, AZ This Valentine’s Weekend, Beckett’s Table will be serving a three-course prix fixe menu. You pay also chose items from their seasonal menu. $39 per person. View more information and make a reservation online here or by calling 602-954-1700. Heavenly Sweets, Hidden Track Bottle Shop's Wine, and 19th Floor Yoga Phoenix, AZ Local Heavenly Sweets AZ and Hidden Track Bottle Shop are collaborating with 19th Floor Yoga to spoil you on Valentine's Day. Enjoy yoga guided by Gabriel Gavin, gluten free brownies + other sweets, and wine samples for $20 per person. Happening at 3:30pm on Valentine's Day. Sign up online here. Southern Rail’s Valentine’s Day Special February 12, 13, and 14th Phoenix, AZ Join Southern Rail over the romantic weekend to enjoy a prix fixe menu and half-off bottles of wine (Feb. 14th only) Full information about the restaurant can be found here on their website or by calling 602-200-0085. The Gladly on Valentine's Phoenix, AZ Chef Bernie is cooking up his 3-course tasting menu full of his favorite dishes. So grab that special someone and show them a great time full of delicious food and exquisite drinks. Now taking reservations throughout the night. Call 602-759-8132 or book conveniently online. Love is in the Air at Phoenix City Grille February 12, 13, and 14th. Phoenix, AZ Phoenix City Grille’s Executive Chef, Rory Hewitt, just announced his specials for Valentine’s Day which will be featured all weekend. The full menu and information can be seen here. Valentine's Dog Party at Noble Beast February 13th Phoenix, AZ Share the love for your furry co-pilots. Swing by Noble Beast with your furry best friend for including: Free Nail Trims Provided by Puff & Fluff, Special Heart-Shaped Dog Cookies by Puppy Belly Deli, Paw Massages Provided by Natural Paws Cookies. There will be refreshments for humans and a Valentine's craft table will keep any little humans busy. You can find more information online here. Love Your Heart Class by Revolution Health Medical Center February 10th Phoenix, AZ February is Heart Health Awareness Month. Learn how to reduce your risk of heart disease by eliminating risk factors you can control and managing the risk factors you cannot control. This workshop will discuss nutrition, supplements and lifestyle choices that will help you “love your heart”. 6:30pm. FREE Class! RSVP online here or by calling (602)265-1774. Queen Creek Olive Mill Valentine's Dinner Queen Creek, AZ Spend a romantic evening in the olive grove. Their annual Valentine’s Dinner will take place outside in the olive grove on our heated patio. Enjoy live music by Soundscape and delicious prix fixe menu selections. 3 seatings at 6:00, 6:30, 7:00 pm. $64/person (no wine) or $69/person (with wine). RSVP is necessary and can be placed by calling 480-888-9290 ext. 102. More info. Sonoita Vineyard Sweet & Savory Food and Wine Pairing February 13 Elgin, AZ In the beautiful Southern Arizona wine country, join Sonoita Vineyards for 8 sweet and savory pairings from Happy Cooker’s Catering. Sonoita Vineyards wines accompany each pairing for a truly luxurious meal. 10am to 4pm, $20 per person. Tickets and more information are online here. Valentine’s Dinner at Maynard’s Kitchen Saturday Feb 13 + Sunday Feb 14 Tucson, AZ Maynard’s Kitchen welcomes you to enjoy a romantic evening. Besides their regular full menu, they will also be serving a special menu just for the night. RSVP online or by calling 520-545-0577. Valentine's Day Dinner at The Cup Café at Hotel Congress February 13 + February 14 Tucson, AZ Cup Café, the signature Hotel Congress restaurant, is serving a special menu for Valentine's Day 2016. See the menu and receive more information online here or by calling (520) 798-1618. Valentine’s Day at Pastiche Tucson, AZ Pastiche will be serving their full menu as well as a special Valentine’s Day menu. RSVP online or by calling (520) 325-3333. Parent's Day Out at Playformance Tucson, AZ Parents’ Day Out gives parents the opportunity to take a break from 10am to 1pm on Valentine's day. Parents can relax and enjoy Sunday afternoon off while professional Playformance staff provides fun themed activities for children grades 4 and up. $40 per family. You can enroll your child online here. I Love Zoo! at Reid Park Zoo Tucson, AZ Keepers will provide animals with valentine-themed treats, and you’ll have the opportunity to make your own valentine for a furry, feathery, or scaly Zoo friend. All activities are free with regular admission. No registration is required. Valentine’s Day Prix Frie at The Coronet Tucson, AZ Please join The Coronet for a romantic evening with a special Valentine's Day menu. View the menu and more information online here or call (520)444-2830. Make Your Own Gifts at Deco February 13th Tucson, AZ Have fun creating on Saturday February 13th at Deco: An Illuminating Experience. From Noon to 3pm create a smooth skin moisturizer or a beautiful bracelet for yourself or your date. You can learn more about Deco online here or by calling (520) 319-0888. Valentine's Dinner at Café a la C'Art & Tucson Museum of Art Tucson, AZ A special 3 course menu will be served at Café a la C'Art inside the Tucson Museum of Art from 5:00pm to 10:00pm on Sunday Feb. 14th. After dinner, the museum will be open exclusively for Café a la C'Art guests from 5:00pm to 8:00pm. $60 per person or $50 for TMA members. Call 520-628-8533 to make your reservation or see more information online here. Run for the Love of it! Saturday February 14th at 8:30am Tucson, AZ Be a part of the LOVE-liest run of the year! Celebrate your Valentine’s Day this year with a morning of running, mimosas, p.d.a., awesome prizes and more! All profits benefit Ben's Bells. Full information can be found here! Valentine's Day at Tucson Botanical Garden Tucson, AZ Enjoy delicious food from Café Botanica in the beautiful Gardens while enjoying great love songs performed by the talented LoBros. Two seatings, one at 5:30 and another at 7:30. Price ranges from $30-$45. More info is online here or RSVP by calling 520-326-9686 x 41. Valentine's at Ghini's Friday Feb 12th Tucson, AZ Celebrate Valentine's Day on Friday Feb 12th! Prix Fixe $50 per couple. Choice of Beouf Bourguignon or Coq au Vin, Apple Roquefort Walnut Salad or Caesar Salad and a decadent, fresh baked Chocolate Ganache Raspberry Mousse Cake. Make a reservation online here or by calling 520-326-9095. Jonathan's Cork Has Homemade Candy Tucson, AZ Famous hand-crafted Almond Roca is available now through Valentine's Day. Call in your order or stop by the Cork for a sample and to purchase. $15/pound (bag). Please call for more information about their Valentine's hours/specials (if any). (520) 296-1631. 25th Annual Chocolate Tasting February 13 Bisbee, AZ For only $10 per ticket enjoy 3 hours of chocolate in the amazing small town of Bisbee. Hosted by Central School Project the Chocolate Tasting will be from 6pm - 9pm. Tickets can only be purchased in person at The Copper Queen Library, Friend's Bookstore, High Desert Market, and Finders Keepers. Stay up to date with local events, news, and happenings in your region by subscribing to our Local Insider newsletter. Sign up here! Are you a Local First Arizona business coalition member hosting a Valentine's Day event that you would like featured here? Please email [email protected].